If only Panda Express was what it sounds like. I’d take 3 in a heartbeat. 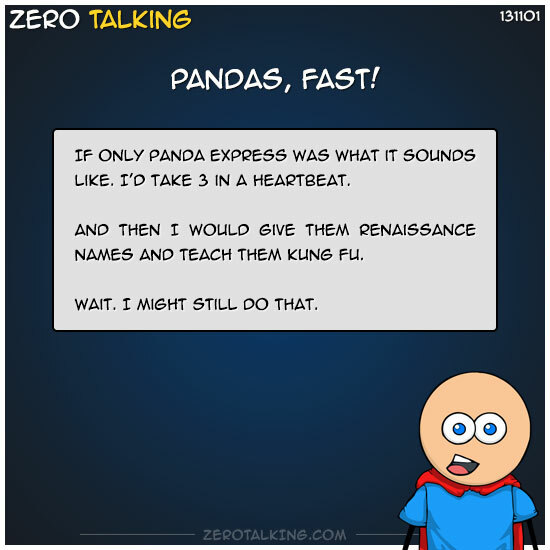 And then I would give them Renaissance names and teach them Kung Fu. Wait. I might still do that.